I hate carrying anything in my pack that I am not going to use. Maybe not so much that I would trade a pair of boots for a chicken to lighten my load… But I still don’t like it. I packed a pillow case and a sleep sack (a sheet that has been sewn in half so you can slip inside like a caterpillar in a cocoon) to provide an extra layer of protection when sleeping in questionable bedding. With the exception of our camping expedition on our trek in Chiang Mai, they have both stayed rolled up at the bottom of my pack, adding weight and taking up space. Several times I thought about getting rid of them to make more room, but when I got to Cambodia and checked into the only hostel I could find with any vacancies, I decided it had been worth hauling them around for a month and a half. Each of the pillows provided by the hostel weighed about 10 pounds- I’m not exaggerating. They have probably been slept on for the past 15 years, and were so full of dust mites and skin cells that they had become as heavy and lumpy as bags of brown sugar. I instantly threw them off the bed and was finally able to use that pillow case. I filled it with laundry for a makeshift pillow. Rather than even bothering to unmake my bed (and slightly afraid of what I might find between my sheets), I just laid the sleep sack on top and slipped inside and reached for my neck pillow- the piece de resistance of my much improved sleeping situation. Neck pillows aren’t particularly easy to carry around- especially when they are the traditional stuffed kind, rather than the fancy new inflatable kind. They are cumbersome, their awkward shape makes them impossible to pack, and either my neck is shaped wrong, or they really aren’t even that comfortable. 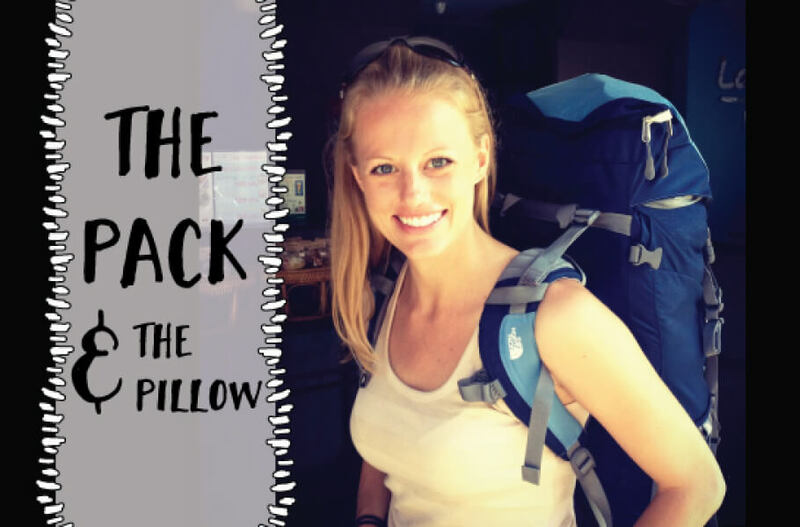 But I knew there would be a moment (like this one) that I would be grateful to have it, so I have dutifully carried that darn pillow, looping it through the straps of pack or the handles of my purse, all the way through Thailand, Laos and Vietnam. It wasn’t strapped to my backpack. It wasn’t looped through the handles of my purse. It wasn’t anywhere. I know that I had it when I crossed the border into Cambodia. In fact, I am sure that I had it in the tuk-tuk when we stopped at the fifth hostel to ask for vacancies. Still had it by the eighth. But by the time I was dropped off at this dumpy guesthouse (probably around the 12th we visited) I didn’t carry that pillow in. Ding dong, the pillow is gone. There are worse things I could have lost- but that night, laying on a pillow case of dirty clothes and praying that nothing would crawl into my sleep sack with me, I would have traded just about anything for that pillow! You know what I hate more than carrying around something I will never need? Carrying around something I know I will need and then losing it on the very day I need it! I’ve yet to decide what would have been worse, carrying around a sleep sack for 3-4 months and never needing it, or getting to use it at least once… Okay, upon writing that, I have officially decided. 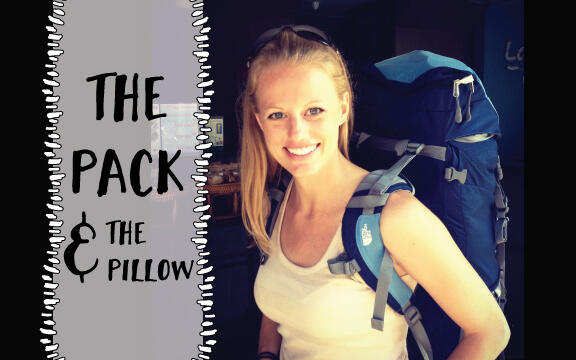 I will hold on to the sleep sack just in case, but I would definitely prefer a nice bed and a little extra weight in my pack, that I never need to pull out again. I have actually been incredibly blessed on this trip. The worst “lost or damaged item” so far has been that the auto-focus on my 18-135mm camera lens is no longer “auto-focusing”, so I have to manually focus every time I want to zoom. I think it will make me a better photographer in the long run… but it’s a pain right now, and has caused me to miss a bunch of shots that would have been no problem several weeks ago with the AF help. I will replace the lens as soon as I stumble across a reputable Canon dealer (meaning probably when I get home), but the neck pillow is gone for good. i would be devastated at losing my pillow, too! dang it! 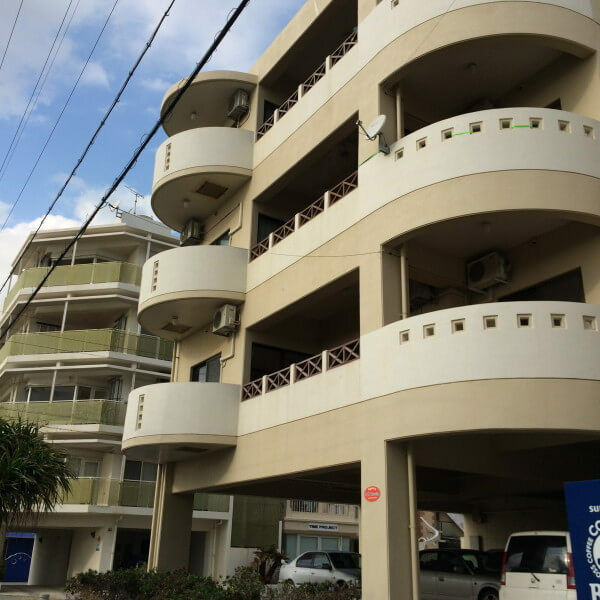 I’ve been blog stalking your adventure! I hope you are having the best time of your life!!! Love you, Meg! Thank you!